Launching Sandbox this week was nothing short of a dream come true. After lots of hard work put into setting up the space, the launch event was the starting point of our passionate journey. And we wanted it to be very special. So instead of the usual fanfare of a dramatic business opening we decided to keep it up close and personal. The idea was to let our friends and family come and experience Sandbox and be a part of the vision we have for it. We both agreed that the launch event would serve as a great opportunity to showcase Sandbox in its natural glory. On the night before the actual event, the nervous jitters finally got to us. We were expecting to host about 120 guests and we prepared a small speech to thank everyone who made it to the event. The next morning felt as beautiful as the bouquets of flowers that greeted Sandbox’s doors. And then we realised something. We weren’t nervous anymore. It was a pretty awesome event. We gave our short speech and the rest of the afternoon went by while everyone hung around as good music and great conversations filled up the space. We expected to shut shop by 3 pm but the party went on till late in the evening, getting better with every hour. We have a lot of people to thank for being a part of the journey. To our family and friends for supporting us unconditionally whenever the need arose, thank you, each and every one of you. XP and Aster from XA Interiors worked with us diligently and it is because of them that Sandbox has its super cool and vibrant look today. We found reliable marketing & branding consultants in Kevin & Jasmine who helped the vision we had for Sandbox’s brand image come to life. And last but never the least, we are immensely grateful to our entrepreneur friends (you know who you are!) for guiding us on our journey to realise this dream. Without your feedback and advice, this could not have been possible. 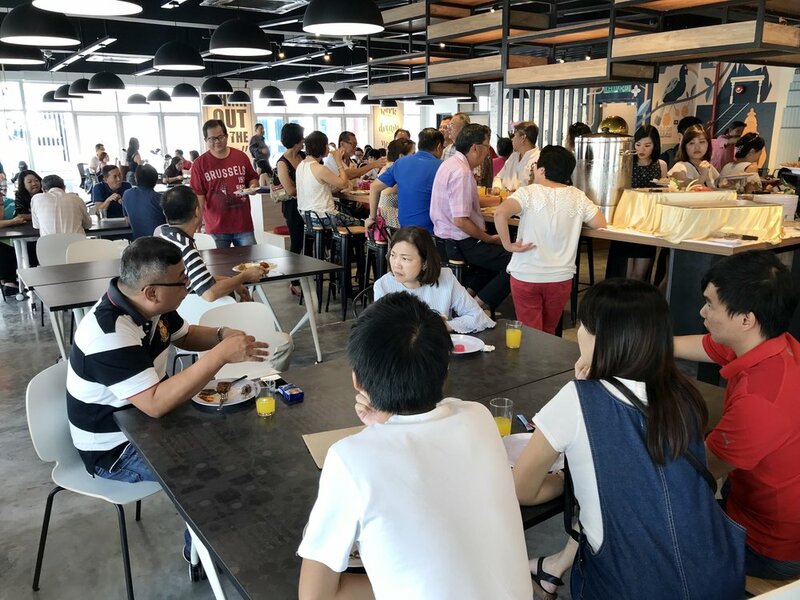 With this simple, yet satisfying launch, we are hopeful that 2018 is going to be a great year for the coworking community in KL. We dream that, with Sandbox, we bring together a passionate community of individuals with big dreams. It’s time to go live! Newer Post5 Reasons Why Co-Working Spaces Are Great For Your Next Event.